A significant event this week was the UK Government’s new paper on the Irish Border issue, titled a ‘Temporary Customs Arrangement’. This outlines arrangements for UK firms: avoiding the need for customs declarations and duties on trade with the EU. In other words, things would continue as if the UK were remaining within the EU Customs Union, except that the UK would have the freedom to strike new trade agreements with countries outside the EU. The UK Government is already proposing that we remain within the EU Customs Union during the transition period, i.e. until December 2020. The new ‘temporary arrangement’ published this week would add an extended, time-limited period, ‘expected’ to end a year later – in December 2021. The insertion of this ‘expected’ time limit was what David Davis gained through his widely-publicised resignation threat. It was in our view a valuable clarification, although the fact remains that it is not legally binding. The reason for this new ‘temporary arrangement’ is chiefly to deliver the unwise and poorly-drafted commitments made last December by the UK Government on the Irish border. These vague and contradictory proposals failed to move Brexit talks onto trade as had been hoped, and the EU quickly adopted its own extreme interpretation in its draft Withdrawal Agreement last March. This demanded that Northern Ireland remain within the Customs Union and hence become essentially a semi-detached part of the UK. Theresa May quickly rejected this EU demand, and this week’s new document proposes instead that the entire UK remains within something that will feel to firms like remaining within the Customs Union. The EU will inevitably reject this, and the battle will go on (and on). The most recent YouGov poll (8 June 2018) on voting intentions showed the Conservative Party, in spite of all its travails, 7 points ahead of Labour. The underlying reason why Labour is failing to exploit the government’s problems is explained by Dr Richard Johnson in his article for BfB this week: in shifting towards an anti-Brexit position, Labour is turning its back on its working-class electorate. One of the significant Brexit events of the week was the second appearance by Jon Thompson of HMRC in front of the Treasury Select Committee. Thompson made headlines last week with his estimate that the cost of a max-fac customs system would be an enormous £17-20 billion. 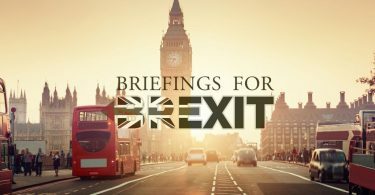 In the wake of the BfB article by Graham Gudgin and John Mills accusing HMRC of double-counting costs to UK firms, Thompson admitted that his estimate included the costs of customs declarations which will be incurred by EU businesses along with the costs to UK businesses. Removing this duplication immediately reduces Thompson’s figures by 6.5 billion, to £10.5-13.5 billion. All of this was of course ignored by the Committee Chair, Nicky Morgan. Thompson’s admission has also not been reported in the FT or anywhere else as far as we know, although Quentin Letts parodied Thompson’s performance in the Daily Mail (http://www.dailymail.co.uk/debate/article-5810407/QUENTIN-LETTS-HMRC-boss-glowered-like-MoT-mechanic-20bn-claim.html). Thompson’s testimony can be viewed here: https://www.parliamentlive.tv/Event/Index/7cddfeee-696e-4804-ab21-28b8c28bd033#player-tabs. Robert Tombs’ introductory article today provides one of the first schemas for categorising the various camps of Remainers, providing a blueprint for further analysis. Other contributions to the ‘Remain Revolt’ project shed light on the effect these anti-democratic, pro-Remain arguments have had on numerous areas of British life: education (Jo Williams), the Labour Party (Richard Johnson), the Conservative Party (Daniel Robinson), the Civil Service (Pamela Dow), ideas of history (Robin Dunbar), views on the nation amongst the general population (Daniel Robinson), and amongst young people (a graduate student). This pernicious and widespread phenomenon deserves close attention and precise academic analysis; this is where a platform like BfB can and is playing a crucial role in shaping the terms of the Brexit debate. The ever-growing spread of EU laws into wider areas removes the democratic right of the British people to live under laws which are decided upon by their elected representatives in Parliament. For the UK to remain in a customs union with the EU after we have ceased to be a Member State would inevitably involve a huge and permanent loss of sovereignty which would damage our democracy and destroy any prospect of the UK implementing its own international trade policy. Rob Lee views UK companies as undervalued in the stock market due to the 2016 referendum. He expects UK business investment to pick up further in coming years. 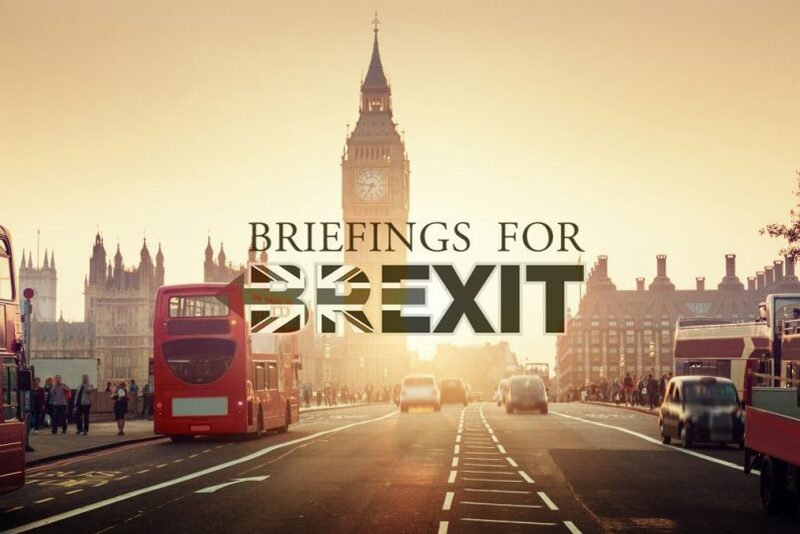 A favourable final deal on Brexit would accelerate that process, but exciting developments in fields that the UK already leads in – renewable energy, aerospace, Fintech, AI, and others – will drive this process anyway. Let us redesign and reanimate the totality of the European project in a spirit of cooperation. At this point in history we are unlikely to succeed without the strength of your leadership. In this lecture given by Robert Tombs at the French Ambassador’s Residence, 22 May 2018, Robert Tombs argues that Britain and France are Europe’s only great powers, the only ones willing and able to make real efforts and sacrifices in the wider world. They are also Europe’s oldest major democracies. In today’s world, close partnerships and friendships are to be treasured and fostered, not only between politicians but between peoples. Brexit has raised a serious challenge. Much in our future relationship will depend on how France responds. Today Joanna Williams tweets about her contribution to the Remainer Revolt project: https://twitter.com/jowilliams293/status/1005728186091692032. Discussion continues on Facebook too, with a particularly positive response to our new podcast featuring Professor Robert Tombs.